Today I want to share how I started the International Coaches Institute courses for. About 20 years ago, Luis Mediero visited me and convinced me to do the first ASC-RPT coaches’ course, after seeing how we trained. Since then, many coaches, more than a thousand have been educated under those courses in Spain and USA combined. 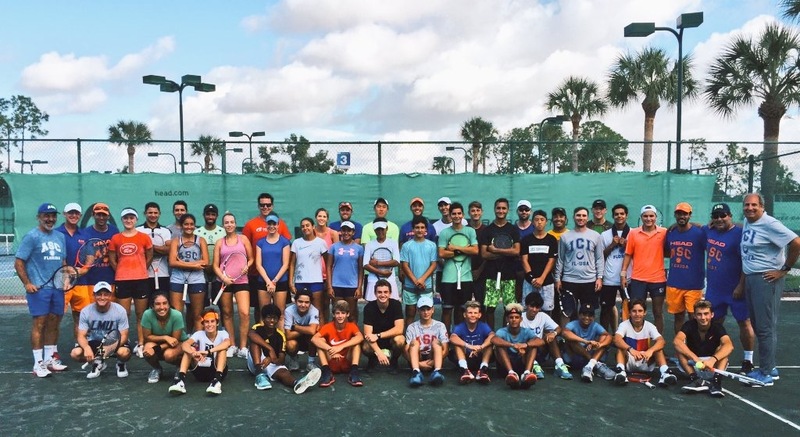 A few years later, Tim Heckler, CEO of the USPTA, invited us to attend a USPTA conference, where he became interested in teaching his coaches the ASC 360 system and he encouraged us to create the ICI courses. Tim came to every seminar and was so enthusiastic that he even sent his son to train at ASC Barcelona, with the goal that his son would gain the same inspiration and love for the game that he had. It was humbling to find out that he chose us instead of an academy in the US. It was a huge responsibility, but we succeeded, his son went to college to compete and today he works in the industry. After Tim’s untimely passing, Luis and I decided to push the ICI courses deeper and have it become his legacy. Since our first course in 2007, more than 1000 coaches have passed through our programs, we initially started with the level 1-performance training, then developed the level 2-transition from junior to pro. We teach everyone the chains of drills, our philosophy, pyramid, 4 pillars and they practice on court more than 60% of the time with our students from the academy. We’re so proud of our course and hope to continue Tim’s legacy. Our new Doubles course Level 1 will show how to use doubles to improve singles, and for coaches, how to maximize the space on court with 4 players at same time. All the experience that we used in doubles together with Sergio to become top in the history, 44 title wins, 9 masters, 14 years Davis Cup in one full course of two days or two modules of one day. We’re also presenting new one day courses with modules of every chain and the option to choose one of the pillars. It’s going to be an exciting 2019. 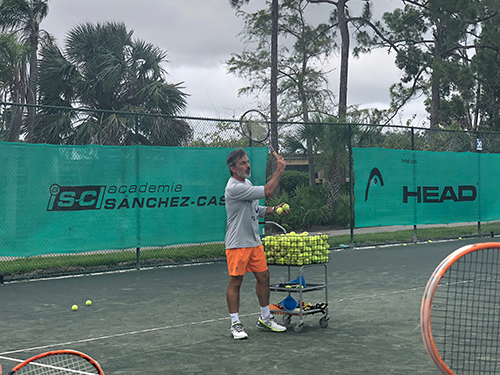 This entry was posted in Coaching, Emilio Sánchez and tagged coach, Emilio Sanchez, Naples Florida, Spanish Tennis, tennis academy, US tennis. Bookmark the permalink.